Ethical issues that can arise when a physician posts offensive or inappropriate content about a colleague are discussed. 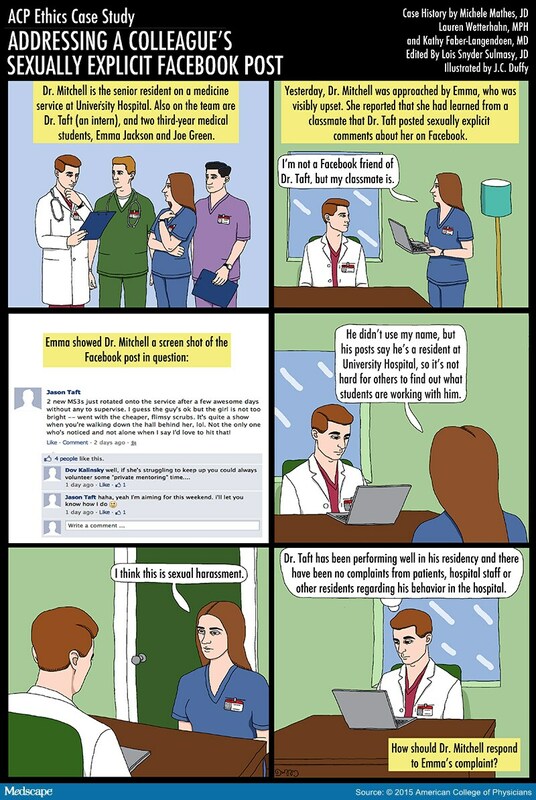 “Addressing a Colleague's Sexually Explicit Facebook Post” is a new ACP ethics case study available online for free CME credit. The case study explores the ethical issues that can arise when a physician posts offensive or inappropriate content about a colleague. While social media has brought many benefits, it also can raise ethical issues for physicians, and those accustomed to using it may blur the necessary boundaries between personal and professional lives. Learning to navigate social media requires reflection and training to ensure physicians maintain professional integrity and values. This case study is published on Medscape and a Medscape login is required. To view a list of ACP ethics case studies, go online.